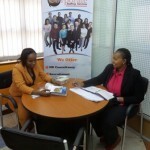 Recruitment agencies the world over have taken shape in the employment market and Kenya has not been left behind. Different industries are increasingly shifting focus from engaging themselves in the time consuming recruitment process. Hence, these companies seek the services of recruitment agencies to shortlist candidates who fit their job expectations. There are a number of advantages directly and indirectly linked to engaging a recruitment company in your hiring process. A well rounded and sought after recruitment agency has an in-depth knowledge and understanding of the current market trends. Recruiters specialize in knowing which professions and fields have potential in the market as well the rates. In addition to this, recruiters also specialize in identifying top talent. They know exactly where to find them, the kind of relevant experience they should have, their career objectives and how they align to company objectives, and their expected salaries vis-à-vis the current market rates and so on. And because recruitment companies also understand your competitors and their hiring needs, they will always offer tangible solutions in talent acquisition in order to help you stay ahead of your competitors. On top of that, recruiters will advise you on how to not only attract best talent, but also how to retain them. This is by far one of the most advantageous reasons you should use a notable recruitment firm to hire the best talent. The hiring department in an organization can end up experiencing first-hand the frustration that comes with getting numerous applications for a job and still end up not getting the right fit. Money, time and resources can be over spent in a bid to shortlist the best match but the process still drags on with little success. And this is where a recruitment agency comes in. A recruiter is trained on how to filter ONLY the best CANDIDATES from a wide pool of applicants. He/she is skilled in matching candidates’ qualifications and experience to precisely what the job profile entails. At the end of the shortlisting process, the recruiter will then conduct a first preliminary interview of shortlisted candidates to further narrow the candidate’s expertise relating to the job role. Only after this stage, will the best suited candidates be referred to the employer for their own evaluation and personality assessment of the referrals. Recruitment firms are also known to use very elaborate digital marketing tools and avenues in their recruiting process. They invest in ensuring that all avenues needed to hire the best talent for you are exploited. Their technology savviness allows them to specifically target and reach candidates you as an organization may not be able to. In addition to that, they have wide and vast networks and having recruited for many, they have connections and referrals that they utilize to source for talent. They have access to the best talent including passive candidates, know how to head hunt in order to give your company the best and highly performing talent. So instead of crumbling under the pressure to hire the right employees, use a recruitment agency for your hiring needs. To have a one on one sitting with an experienced Recruiter in order to understand fully how a recruitment firm can assist you in your hiring needs, then email us today. Ensure you also leave behind your phone number and we will call you within 24hours.